EGREMONT Castle grounds will be getting wilder and brighter when the wildflower areas to be planted by local school children and community residents begin to bloom. Pupils from local primary schools in Egremont are to get some practical hands–on experience of wildflower planting as part of a local environmental improvement scheme on Tuesday 10 March. The planting event has been organised as part of the West Copeland Lengthsmen Scheme, a partnership funded by the Copeland Community Fund and local parish councils, facilitated by Copeland Borough Council. The event will give local school children an opportunity to seed the areas and gain an understanding of the best methods to create wild spaces and what types of wild flowers can grow in the UK. Wildflowers are easy to plant and once established areas are easy to maintain. The mix of different flowers means the growing areas will bloom over a long period of time. 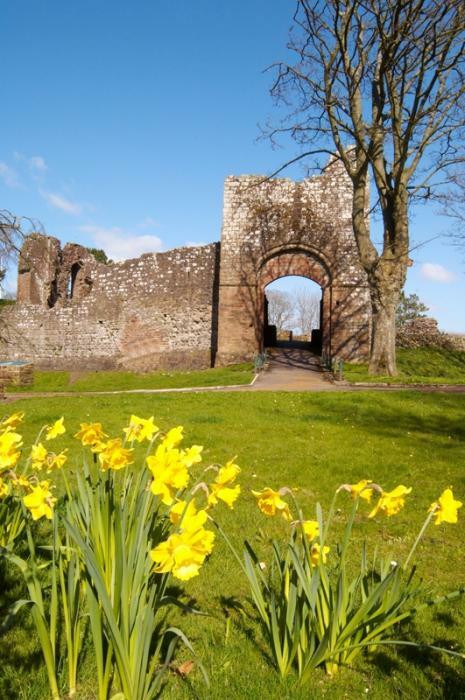 Kath Cook, a representative from Friends of Egremont Castle said: “Now the weather is milder the flowers should start to bloom by the end of May and be established for many years to come. We hope the wild flower areas will act as a legacy for this phase of the West Copeland Lengthsmen Scheme which is due to come to an end soon. A key objective of the West Copeland Lengthsmen Scheme is to educate and up-skill the community on environmental issues. It aims to equip the community with the knowledge and skills to care for their local environment in the most sustainable and effective ways. Parishes involved include Egremont, St Bees, Haile & Wilton, Beckermet and Lowside Quarter. The activity takes place on Tuesday 10th March (1.30pm) in the grounds of Egremont Castle. Please contact Chris Pickles, one of the Council’s Community Regeneration Officers, on 01946 598 326 or chris.pickles@copeland.gov.uk  for more information.